Buy Bios Life Slim™ - Prices Include Shipping! "You are just inches away from a New You!" 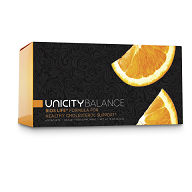 What is Bios Life Slim™ | Unicity Balance™? Bios Life Slim™ - (Now Called Unicity Balance™) is a weight management product to help you achieve your ideal weight and health goals safely and effectively. 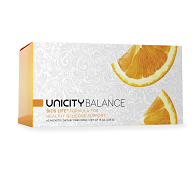 Bios Life Slim™ - Unicity Balance™ is a fiber-based, vitamin-rich nutritional supplement. It contains a combination of soluble and insoluble fibers, Unicity® 7× technology, phytosterols, policosanol, an extract of Chrysanthemum morifolium, vitamins, and minerals) that when combined with a healthy diet and exercise regimen, can lead to an improved healthy body weight. You mix with an 8 oz. glass of water, and drink before your 2 largest meals. For people on-the-go, take with you in our pre-measured and sealed packets. 60 packets per box. Disclaimer: Any statements on this site have not been evaluated by the Food and Drug Administration. These products are not intended to diagnose, cure, treat, or prevent any disease. Results are not necessarily typical and will vary, depending on user compliance with company recommended guidance on product labels. Bios Life Slim™ provides additional nutrients and fiber intake to your diet which you may be lacking, thus improving conditions upon which you can manage your weight more effectively. This , combined with a sensible diet, can be a winning combination to assist you in your weight management goals. Once you meet those goals, Bios Life Slim™ can be used to help you maintain your ideal weight. Click for Bios Life Slim™ Reviews Video by Alan Stark, Unicity Corporate, This is a great Bios Life Slim Authority Video with and explanation as to how Bios Life Slim™ works. We want you to reach your ideal weight goals—and then maintain your weight.. A “diet” is something you do TO your body; Bios Life Slim™ is something you do WITH your body. You will slowly but surely inch towards your weight management goals.. Depending on your weight management goals, this may take weeks, or months, before you attain those goals. They key is your "commitment" and "consistency", adhearing to the program until you reach your ideal weight. Will this product meet my expectations? The real question is "Are you seriously interested in wanting to reduce your weight, and are you ready to commit to a new lifestyle? Combined with proper exercise and diet, Bios Life Slim™ can assist you in reaching your ideal weight. But without combining this routine with proper, healthy, diet AND exercise, it may not produce the results you are seeking. Note: Would you like to know if you are overweight? Check your Body Mass Index, also known as BMI, by using the Body Mass Index calculator. Go to WebMD for details. With almost 30 years since the original formula hit the market, Bios Life Slim - Unicity Balance has continually been improved upon, each generation producing better results than the last. Bios Life™ Diet: Introduced in 1986, Bios Life™ Diet was the first generation of Unicity Balance. It was created as a weight management supplement, and also helped by lowering the glycemic index of foods and providing satiety. Bios Life™ Diet was a game-changing product in the making. Bios Life 2™: Approximately 10 years later, Unicity formulated Bios Life™ 2. It quickly became the only non-prescription product in the United States that secured patents for its cholesterol management properties. ** Disclaimer: Any statements on this site have not been evaluated by the Food and Drug Administration. These products are not intended to diagnose, cure, treat, or prevent any disease. Results will vary, and are dependent on user compliance with company recommended guidance on product labels.